Emsworth Garage Doors was established nearly 20 years ago and originally operated as a small family run business based in Emsworth. Since establishment our company has grown in both strength and size. We have worked throughout Southern Hampshire and West Sussex for a number of years and have installed and repaired hundreds of garage doors of all sized and varieties over that time. "Emsworth Garage Doors were a delight to have working at my home. They were very helpful planning the work and gave me various options, and they worked very hard on the day of fitting, took away all rubbish and left the area spotlessly clean and tidy. They did a very neat job and explained everything to me carefully before they left. Highly recommended." For all enquiries and any further information on any of our services please contact Emsworth Garage Doors today by phone, email or via the contact form below. 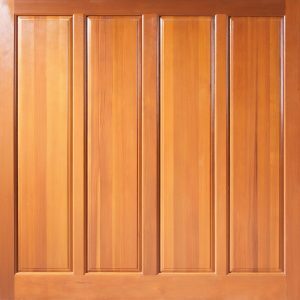 The Woodrite Balmoral range of solid-built timber garage doors are made with selected cedar mouldings, cedar tongue and groove boards and raised and fielded cedar panels depending on the design. 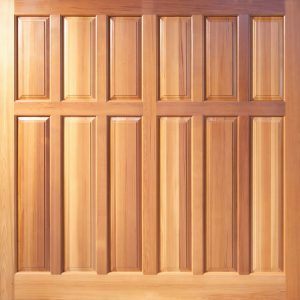 Solid-constructed doors use traditional joinery to create a solid timber panel that, other than on very large doors, requires no chassis or subframe to provide its strength. 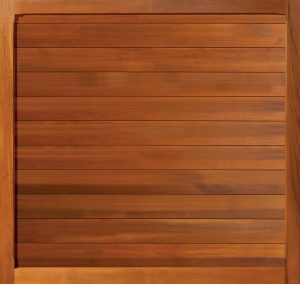 The Woodrite Balmoral solid-built cedar garage door range is available with Masta Gear only, which is a ‘do it all’ type retractable gear. The garage door panel is made first and the Masta-gear operating mechanism is mounted directly onto the garage door panel for maximum integrity and a rear face free from bracings. 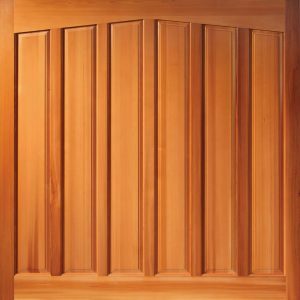 From the front the Balmoral range of solid built timber garage door have deeper edge rails, solid profiles from front to back and beautiful chamfer detailing. From the back they look just as good – edge to edge timber is all that you can see. Woodrite Cedar doors are treated with a base coat ready for staining. Factory finished doors are available in a range of colours. 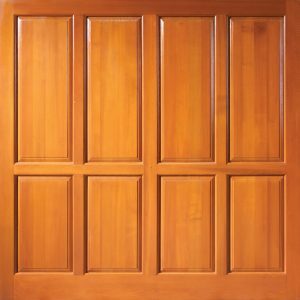 Woodrite uses TEKNOS wood finish system for all of their doors and recommends this for on site finishing. 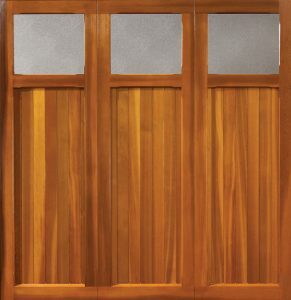 Woodrite’s Woburn cedar garage door is available as a panel-built or solid-built timber door. 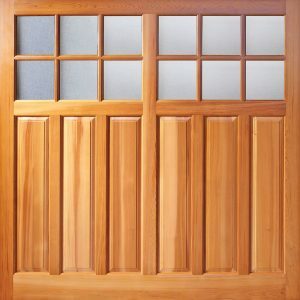 The Woodrite Salford panel-built or solid-built Cedar Garage Door. 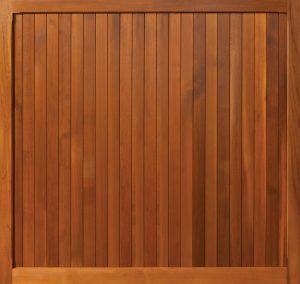 The Woodrite Sherington is available as a Panel-built or Solid-built cedar garage door. 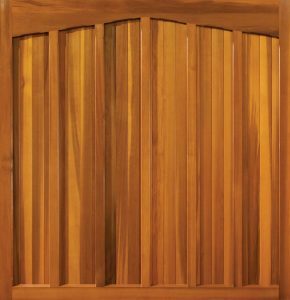 Woodrite Ickford Cedar Built door available as a canopy or retractable up & over, as well as a solid-built side hinged or personnel door. 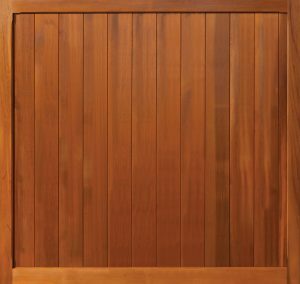 Woodrite’s Adstock Cedar built garage door comes as an up & over, side hinged or personnel door. The Woodrite Hampden is available as a canopy or retractable Up & Over Garage Door, as well as a side hinged or personnel door. For further information on any of our services please contact Emsworth Garage Doors today by phone, email or via this simple contact form. Based in Emsworth, Hampshire we offer our excellent garage door repair and maintenance services to domestic and commercial customers throughout Portsmouth, Chichester, Hampshire and West Sussex. We cover various towns across the region, including Havant, Waterlooville, Hayling Island and Fareham. Contact us today to discuss your garage door repair or maintenance needs. 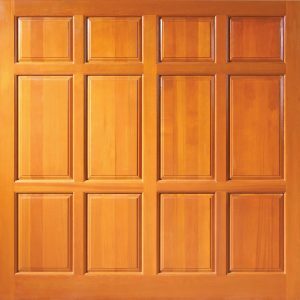 We do not charge a fitting cost and we do not charge for removal and disposal of your old door.